An Interview With Charlotte's Ayane Sakura! Charlotte follows in its predecessors, Clannad and Angel Beats!, footsteps as this year's newest heart-rending youth story. 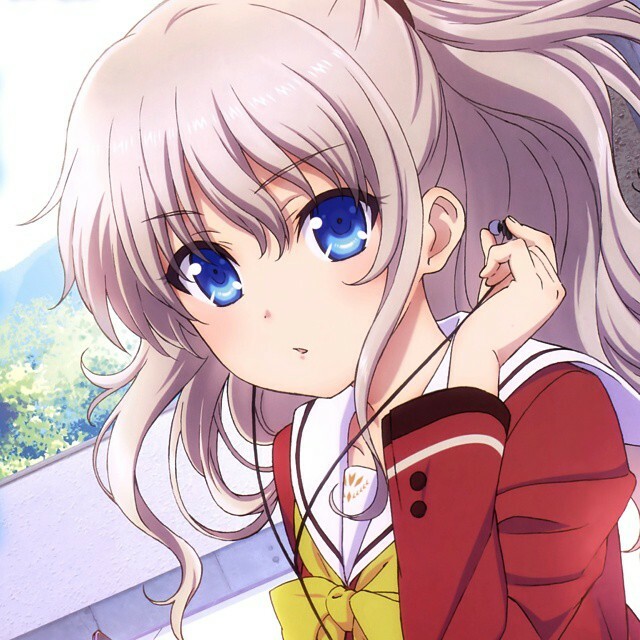 Let's see what popular voice actress Ayane Sakura has to say about her character, Tomori Nao! 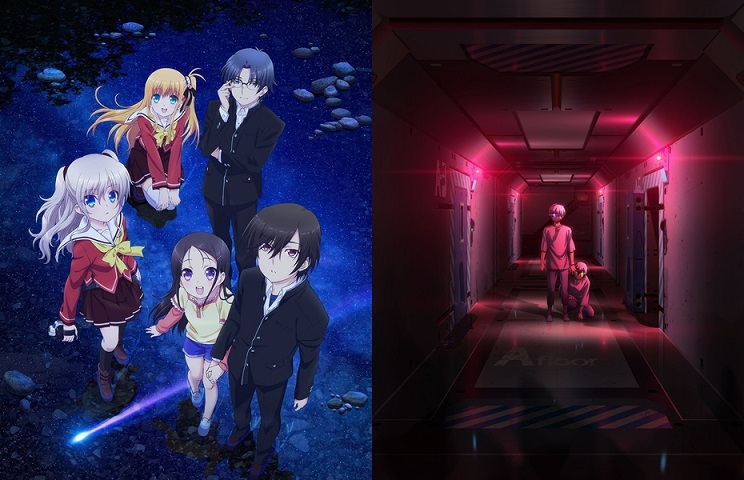 Charlotte is coming-of-age hitmaker Key’s newest anime about an academy of teenagers with special abilities. In the world of Charlotte, some people possess superpowers only usable during puberty. Hoshinoumi Academy was established for these students with extraordinary powers. “Why am I me, and not anyone else?” Philosopher Descartes said “I think, therefore I am.” This is how main character Otosaka Yuu lives his life. In a somewhat unusual move by Key, the main character is an unlikeable protagonist. A compulsive cheater and liar with a bad personality, Yuu fakes his way into becoming an honor student due to his ability to take control of others for five seconds at a time. He is enrolled into Hoshinoumi after his abilities were discovered by Tomori Nao, and joined the student council, thinking that he’d like to help someone else for the first time. A first year at Hoshinoumi Academy. The student council president, She often carries a video camera in order to record proof of other students’ powers. Her own ability is to mask her presence from one person at a time, becoming effectively invisible only to her target. What do you have in common with Tomori? This is hard, because I’ve never really compared myself with my characters… We’re probably similar in that I’m bad at explaining- it makes sense in my head, but I can’t put it into words well, so sometimes I can’t communicate how I feel. If I want someone to understand something, I do my best to explain though. When you are acting as Tomori, what are the points you pay attention to? When I went to the auditions, we were handed scripts. I remember that it bewildered me to see the pretty illustrations next to lines that were so unimaginably nasty. And when I got Tomori’s part, the staff said to me, “please don’t perform Tomori purely. It’s better if she’s soiled.” Thinking about the gap between her appearance and her lines, and her unpredictable personality, I thought it’d be nice to be able to be a girl with such a difference in appearance and nature as I voiced her lines. What’s the highlight of Charlotte? The chance meeting, involvement, then separation with the “other people” that you create unbreakable bonds with. The delicate balance between losing what you have gained and gaining after loss. What scenes were particularly memorable for you? Tomori’s line in the first episode when she says, “we’re this kind of existence.” It’s an important scene that sets up the dynamic between three of the main characters, Tomori, Yuu, and Takajou. The staff even said, “it’s an important line that we could probably use for the PV,” as they gave me the scene. I was so nervous after recording it! If you could use Tomori’s power, what would you want to do? Her power has its drawbacks, so I could probably only use it to sneak up on and scare people. If I had her handycam I'd record my family and dog. Your character Tomori loves the band [Zhiend]. What kind of music do you like? I listen to just about anything, regardless of genre. Rather than artists, I pay attention to the lyrics, melody, and instrumental. Generally, if I’m alone, I’m always listening to music. I feel uneasy without sounds, and I’m not good with crowds, so I’ve never walked around without earphones on. Finally, a message to the fans please! The staff and cast poured their hearts into making this production. It's a story of youth that get thrown about by the whims of fate, and it'll definitely impact you in some way. Please watch the results of our hard work!